Women in Iran could face significant restrictions on their use of contraceptives and be further excluded from the labour market unless they have had a child, if two proposed laws are approved, says a new Amnesty International report out today. Iran’s declining birth rate: Seven births per woman in 1980, 5.5 in 1988, 2.8 in 1996 and 1.85 in 2014. Funding for Iran’s Family and Population Planning Programme which previously provided sexual and reproductive health services and information (including dispensing modern contraceptives at subsidized prices) was cut off completely in 2012. Top three most commonly used types of contraception by Iran's 21.5 million married women and girls (aged 15-49): 15.05% oral contraceptives, 14.15% voluntary sterilization, 13.77% condoms. In 1976, only 37% of women were using at least one method of contraception; by 2000 this figure had reportedly risen to 72%. In 2010 the contraception rate reached a high of nearly 79% for married girls and women living in urban areas and 73.78% for those in rural areas. Unsafe abortions are the third largest cause of maternal mortality worldwide. According to the World Health Organization, in 2008, 21.6 million unsafe abortions took place globally, leading to the deaths of 47,000 women and disabilities for an additional 5 million. Around 215,000 maternal deaths could be avoided through the use of contraception according to the UN Population Fund. 17% of women in Iran (age 15-64) are actively engaging in the labour market, either by working or looking for work. Increasing restrictions on women’s employment opportunities have led to an annual decrease of 100,000 in the number of women in employment over the past eight years. Early and forced marriages are common in Iran with 41,226 marriages of girls between the ages of 10 and 14 in 2013-2014, and at least 201 girls under the age of 10. Between March 2013 and March 2014, more than 2.9 million women received a police warning for their perceived failure to observe the Islamic dress code.An additional 207,053 women were forced to sign a written statement promising not to re-commit the “offence” of “improper veiling” (bad-hijabi). A further 18,081 women were referred to judicial authorities for prosecution and punishment. Picture by Assal Alinejad . Many women outside the job market often say that they cannot do paid work because they must take care of their children. Strong evidence has indeed shown that where affordable and high-quality childcare is available, women’s labour force participation increases.Chile, for example, has seen remarkable progress in the number of children covered by childcare services over recent decades. As a result of a flagship government programme (Chile Crece Contigo: Chile Grows with You) introduced in 2007, the number of public crèches and places for children under one year of age increased respectively from 700 in March 2006 to more than 4,000 by the end of 2009, and from 14,000 in 2005 to 85,000 by March 2010. Chilean mothers gaining employment by close to 15%.Yet even beyond supporting women, quality childcare services have also proven to mitigate social inequalities and improve educational outcomes for disadvantaged children. It is thus important to view investing in childcare not as a luxury that only the richest countries can afford, but as a successful strategy for boosting gender equality, driving inclusive growth and reducing poverty for all. • Agree to the goal on reducing inequality within and among countries, and formulate ambitious strategies to implement and finance all Sustainable Development Goals. • Promote women’s leadership, voice and agency at all levels, from household to international spheres, including through engaging with trade unions, civil society and feminist organisations in economic policy making processes and spaces, such as in national development planning, meetings of the International Financial Institutions, G20, or the World Economic Forum in Davos. • Ensure that women workers and their voices are equally and meaningfully represented at all levels of decision-making. • Support poor women’s collective organisation and give them a platform to raise their concerns and demands to decision makers at all levels. • Hold governments and businesses accountable for their commitments to deliver on women’s rights and women’s economic equality. • Engage in policy dialogue to promote alternatives to the current unsustainable economic model and pursue rights-based alternatives that work for all, especially poor women and men. • Systematically review the impact of macroeconomic and fiscal policies on women and implement policies to redress inequality in women’s work, alongside challenging discriminatory social norms and gender stereotyping that underpins this. • Design progressive tax regimes and institute genderresponsive budgeting that enhance women’s economic rights, their productivity and access to public services and commodities, while redressing discrimination and inequality. • Guarantee paid maternity and paternity and medical leave, alongside flexible working hours, and support the provision of childcare services for workers with caregiving responsibilities. • Adhere to globally agreed human and labour rights standards by introducing and implementing legislation and policies that guarantee and promote women’s access to decent and safe employment, whether in the formal or informal sector. This should include a living wage, secure contracts, access to social protection (such as parental and sick leave, and unemployment benefits), women’s right to organise and access to remedy, equal pay for work of equal value, equal opportunities and non-discrimination in the workplace. • Eliminate all laws that discriminate against women and inhibit their economic equality. • Abide by ILO decent work standards and conventions, as well as in-country legislation, and support new and implement existing standards and regulations. • Undertake rigorous gender-sensitive human rights due diligence throughout supply chains. • Enter into collective bargaining and social dialogue with unions and workers’ organisations, including when ensuring access to remedy where rights violations occur. The NGOs signing this Statement express our concern about the Political Declaration approved by Members States on Monday, 9 March in the United Nations, in the 59th Session of the Commission on the Status of Women (CSW); discussed without the participation of the majority of Women’s, Feminists and other Civil Society NGOs, and thus against the principle of transparency. We express our disagreement with the procedure of the Declaration discussion, that constitutes a change in the methodology of the CSW, ignoring since Beijing, women’s and feminists organizations had obtained the incorporation of our rights, did the follow up of the Platform of Action, and supported governments in the implementation. In Latin America and the Caribbean we reached regional consensus as the Santo Domingo, Montevideo and Santiago de Chile, with commitments to defend ALL Women Human Rights, also in other regions were important commitments, all them are not reflected in the Declaration. In the context of the Post 2015 Development Agenda, the Sustainable Development Goals and the Third Conference to Finance Development, we consider it necessary to incorporate all needs and demands of the diversity of women and girls, emphasizing sexual and reproductive rights including the right to legal and safe abortion. It’s necessary to develop an effective response to the HIV/AIDS epidemic in the world , to guarantee the right to education, to political participation in parity, and to a life free of all forms of violence, including prevention and eradication of femicide and the multiple discriminations based in ethnics, race, sexual orientation and gender identity, among others. We remember that cultural and religious arguments can’t be an excuse to deny and/or violate human rights. To ensure that we need to guarantee democratic and transparent methods to discuss and built consensus, with the participation of governments, UN agencies and Women’s, feminists and other civil society NGOs without any exclusion. The right to access of information and communication are key to ensure transparency and the participation without leaving anyone behind, and eliminate exclusions of all agreed in Beijing .The challenge is to increase the forms of participation characteristic of CSW and United Nations, we urge all extreme the research and inclusion of methods that form now guarantee the broad participation of civil society without exclusions. We urge Member States to assume the commitment to accelerate the achievement of the entire Platform of Action, to ensure the economic resources and to guarantee the accountability a must to honor the commitments adopted. The women, adolescents and girls in their diversity form all the world are looking to you. We can’t wait 20 more years! 8. Alianza de Mujeres Indígenas de Centroamérica y México. 9. Alianza Política Sector de Mujeres APSM Guatemala. 10. Alianza por la Solidaridad – España. 14. Articulación Regional Feminista por los Derechos Humanos y Justicia de Género. 15. Articulación Regional Feminista por los Derechos Humanos y la Justicia de Género. 19. Asociación Promoción y Desarrollo de la Mujer, Perú. 20. Asociación Warmi Wasi - Casa de la Mujer de Arequipa, Perú. 30. Campaña por una Convención por los derechos Sexuales y Reproductivos – Perú. 31. Católicas por el Derecho a Decidir – Argentina. 32. Católicas por el Derecho a Decidir – Bolivia. 37. Centro de la Mujer Peruana FLORA TRISTAN – Perú. 39. Centro de Promoción de la Mujer “Micaela Bastidas”. 41. Centro Regional de Derechos Humanos y Justicia de Género - Corporación Humanas - Chile. 42. Centro Regional de Derechos Humanos y Justicia de Género - Corporación Humanas - Colombia. 63. Comunicación e Información de la Mujer AC (CIMAC)- México. 67. Coordinadora Autónoma Contra la Violencia- Chile. 68. Coordinadora de la Mujer – Bolivia. 82. Feministas en Accion – Argentina. 103. Grupo de Mulheres Negras Malunga– Goiás- Brasil. 108. ICW Latina- Comunidade Internacional de Mujeres Viviendo con VIH. 112. Instituto De Desarrollo Económico Local, Perú. 122. Lesbianas Independientes Feministas Socialistas LIFS – Peru. 128. Movimiento Manuela Ramos – Perú. 146. Red Feminista de Colima – México. 150. Red Mexicana de Personas que Viven con VIH/SIDA, A.C.
152. Red Peruana de Mujeres viviendo con VIH. 154. Red salvadoreña de defensoras de derechos humanos. Sign to Urge Chinese Government to Release them Immediately! We are feminists all over the world. 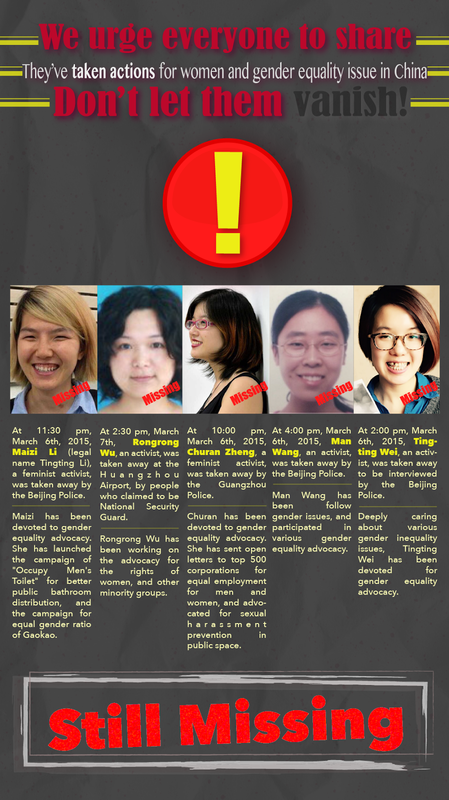 We are shocked to know that five Chinese young feminist activists were detained right before the International Women’s Day, 2015, because they planned to campaign for anti- sexual harassment on buses. Twenty years ago, China hosted the 1995 Fourth World Conference on Women, signed for Beijing Platform for Action, and made a commitment to promote women’s rights and gender equality. What the Chinese government has done to the five young feminists is unacceptable and violating the spirit of the Beijing Platform for Action and CEDAW. These five young feminist activists are Tingting LI, Man WANG, Tingting WEI, Rongrong WU, and Churan Zheng. They devote themselves to the mission of raising gender awareness among the general public by using all kinds of innovative methods to change the gender norm and promote gender equality. They are leading a new wave of the feminist movement in China. They are creating the future of China, changing it into a better place to live. We support them with all our heart, and we want them to know that we are always with them. The coercion against women’s human right defenders happens everywhere, and we MUST defend them, because it’s about them and also about us. We urge the Chinese government to release them immediately! Please sign up to support us and forward this message as much as you can. Women in developing countries and all over the world need and demand change today. The case for action to lift the status of women in the economy is not new. However, despite its potential to yield benefits for women, the economy and for wider society, making women’s economic equality a reality is still a far-off dream. In 2014 The Global Gender Gap Report by the World Economic Forum confirmed that progress remains excruciatingly slow and huge gender gaps continue to divide across and within regions.104 Data analysed for 111 countries shows that over almost a decade, the gender gap in economic participation and opportunity now stands at 60% worldwide, having closed by only 4% from 56% in 2006.105 While there is no simple one size fits all solution, it is clear that efforts made by the international community and business leaders to fix the problem have so far failed to tackle the major causes of exploitation in women’s work. With the new development framework that will replace the Millennium Development Goals in 2015, and as we celebrate the 20th anniversary of the landmark Beijing Platform for Action the time has come to mend the gaps in the broken and unequal economy by ensuring that women can enjoy equality of access to, and recognition and reward for their work. Governments, international institutions and business leaders must all take up this opportunity to tackle women’s economic inequality. ActionAid is calling for concerted action to recognise, reward and value women’s work in its entirety – from caring for families and communities, to toiling long hours on the factory floor – and to address the prevailing forms of discrimination that women face in accessing decent work and in bearing an unequal burden of caring responsibilities. Addressing the root causes and taking a transformational approach to the issue of women’s economic inequality will benefit people, countries, businesses and the economy, and will lead to a more just, sustainable and growing economy for all. That fact that women’s work is subsidising the world economy at a massive scale is also a reflection of gender discrimination at all levels of decision-making as well as the fact that voices of human rights defenders, both women and men, are silenced and ignored. All over the world advances in respect for women and worker’s rights have been achieved largely as a result of the work of feminist organisations and trade unions. However, governments and businesses continue to undermine rights to association and union representation, while union leaders and women human rights defenders suffer violence and harassment as a result of their work. According to the International Trade Union Confederation (ITUC), unions are increasingly under attack. The same trend is true for women human rights defenders, who are harassed because of the fact that they are women andbecause they stand up for women’s rights. Discrimination is also visible in the corridors of power. In January 2015, only 13 finance ministers worldwide, and on average only one in five parliamentarians, were women. Even the world’s most privileged women suffer significant inequality in the economic sphere. Of the world’s 30 wealthiest people, only three are women. Globally, women constitute roughly 24% of senior management in mid-sized companies and in S&P 50098 companies they make up just 4% of CEOs. Yet the effects of inequality in having a voice and making decisions are much more serious for women living and working in developing countries. In Ethiopia, men are five times more likely than women to hold leadership positions in cooperatives. 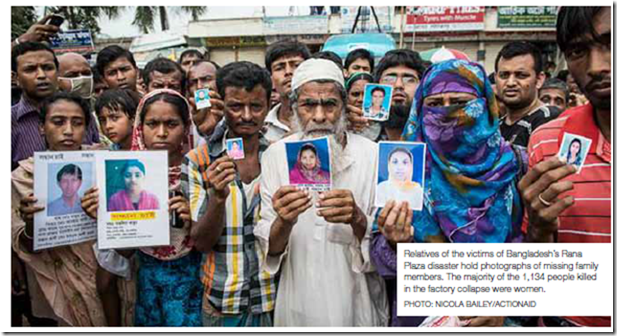 Similarly, in garment factories in Bangladesh, just one in 20 supervisors is a woman. processes, or influence the law or resource allocation directly. 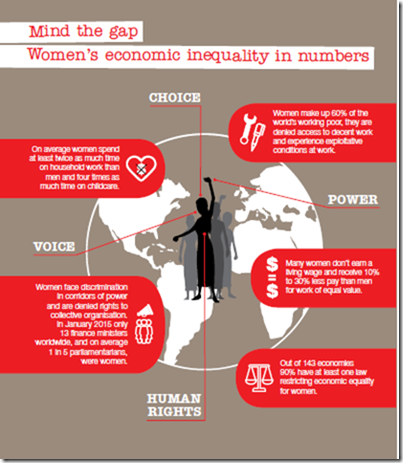 It is thus not surprising that out of 143 economies surveyed by the World Bank, as many as 90% have at least one law restricting economic equality for women, further driving them to the bottom of the economic pile. In recent years, states, donors and businesses have all talked about investing more in women and girls. But while more money to support women and girls is of course a good thing, these investments have too often not materialised or have had very limited impacts. For example, the OECD DAC Network on Gender Equality shows that despite good intentions, donors’ investments in women and the economy have been stagnant since 2007. In 2011 and 2012 only US$469 million – just 2% of all bilateral aid was directed towards initiatives that had women’s economic empowerment as a principal objective. As emphasized above, raising and spending revenue on public services is vital to address women’s inequality in work – and are often under the squeeze. Moreover, in countries where data is available, levels of spending by ministries or agencies specifically responsible for women’s rights and empowerment is shockingly low and not more than 0.4% of GDP. Another vital issue is that tax policies are often (explicitly and implicitly) biased against women – pushing them further to the bottom of the economic pile. Explicit biases are easy to identify. In Morocco, for example, joint income is automatically assigned to the man as the person filing the tax return on behalf of the household. Implicit biases are usually reflected in indirect taxation, such as Value Added Tax (VAT), and have a disproportionate impact on women because they are primary care givers and the main consumers of the basic household products. Underinvestment in women entrepreneurs is also a global phenomenon, despite the evidence that womenled companies may deliver higher and more consistent returns. Women launching businesses around the world have an estimated collective credit gap of US$320 billion. In Africa, female-owned companies in the formal sector in urban areas have 2.5 times less start-up capital than male-owned equivalents. Increasing women’s access to microcredit – a popular strategy in recent years – can only be a partial response and has a troubling record of increasing the workload and debt burden for the poorest women. Across countries, and regardless of income, women are excessively responsible for unpaid care work, while men are primarily engaged in market-based activities. Care work includes cooking, cleaning, collecting firewood, taking care of children, the ill and the elderly. It is absolutely central to the proper functioning and wellbeing of societies, as well as to the reproduction of the workforce. It is nonetheless completely invisible in national accounts and statistics. It is taken for granted as a subsidy provided by ‘women’s work’, but it is not really regarded as ‘work’, thus enjoying little recognition or reward. The 2012 World Development Report found that per day women devote one to three hours more than men to housework; two to 10 times the amount of time to children, elderly, and the sick; and one to four hours less to market activities.In India, for example, national time-use data estimates that on average, women spend 10 times as much time on unpaid care work than men, while the latest population census showed that as many as 45% of women of working age in India (28 times more women than men) are confined solely to domestic duties. Another study in Latin America and the Caribbean showed that in over half of cases where women aged 20 to 24 do not seek work outside the home, the main factor was their unpaid care burden. While women all over the world spend time on unpaid caring, the burden in terms of poverty and opportunity cost is much greater for poor women in developing countries. For example, it is estimated that globally women provide between 70% and 90% of care to people living with HIV/AIDS. The task of collecting water in Sub-Saharan Africa also falls disproportionately on women and girls, who spend 40 billion hours a year doing just this. This pressure becomes all the more intense at times of economic shock or other crises, when governments tend to fall back heavily on women’s unpaid care work to pick up the slack as public services are cut back. For instance, women in developing countries often work in Export Processing Zones (EPZs) that attract foreign direct investment, and create demand for cheap labour to manufacture inputs that enter the value chains of multinational corporations. In these EPZs women typically enter paid work in the lowest positions in garment, footwear, cut flowers or small electronics industries, among others. Frequently they work in environments resembling sweatshops, encountering a high risk of violence, and with many aspects of labour rights on hold. What’s more, while governments in many developing countries in fact have helped to crowd women into such export manufacturing jobs they have largely failed to enact - or in some cases to enforce - strong laws and regulations to hold investors accountable to respect labour laws and rights in the workplace. “Policy strategies geared toward economic growth or increasing general education levels, although necessary, are generally insufficient to close gender gaps. Targeted, gender-specific and multi-sectoral solutions are also needed to respond to countryspecific constraints.” The World Bank Group (2014) Gender at Work: A Companion to the World Development Report on Jobs44 At the same time, many multinational brands and retailers also create downward pressure on women’s wages by progressively squeezing their suppliers to produce more for less in order to please and fuel consumer demands, especially in rich countries’ markets. 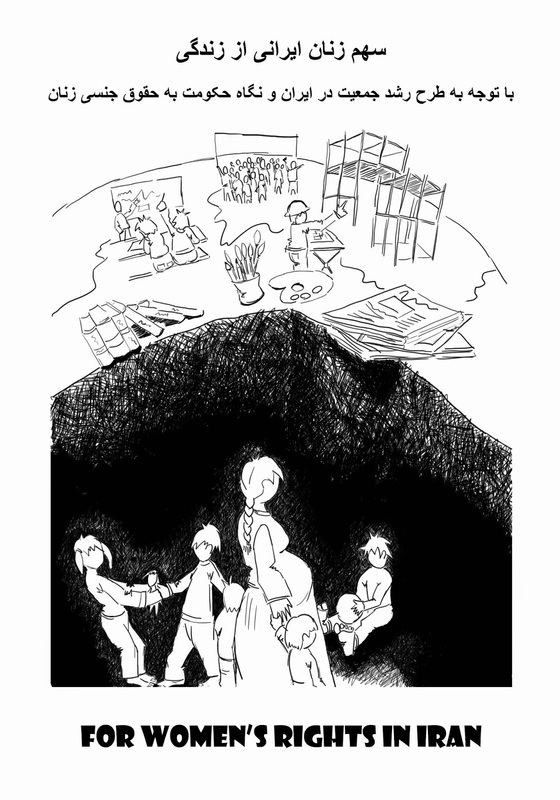 Their rapidly changing demands and production schedules lead many suppliers to subcontract to smaller, informal factories, invisible to the authorities and creating ever more pressure on women at work. While such operations can be heavily dependent on poor women’s labour, they are also the first to lay off women, especially in times of economic shocks and markets crises. The ILO estimates that the global economic crisis destroyed 13 million jobs for women, with young low-skilled women’s jobs in export manufacturing being particularly hard hit as a result of declines in demand for major exports from late 2007. For example, of enterprises laying off workers in Indonesia, almost a third laid off every one of their female workers. In Cambodia, where majority of women work in the garment industry, 38,000 jobs were lost in 2009 alone. Women are also disproportionately affected when governments attempt to minimise budget deficits and keep inflation low through limiting government investment in public services.Tax avoidance and evasion further puts the squeeze on the public purse, with governments unable to raise revenues effectively from wealthy individuals and multinational businesses operating in their countries. Women indeed depend on public services more than men and are frequently strongly represented in public sector jobs, so when cutbacks strike, it is they who are hit hardest. All of this supports the case that macroeconomic policies are all too often geared towards creating the conditions for GDP growth, without much attention to bringing societies closer to achieving gender equality and social justice. Why is women’s work the worst? The causes Women’s economic inequality is not natural or inevitable. The permanent subsidy to the global economy that poor women’s work represents is a human-made, structural problem: a direct consequence of policies, laws, systems and power structures that prevent women from achieving their true potential and living decently rewarded and dignified lives. There are at least four major structural causes that drive this injustice.